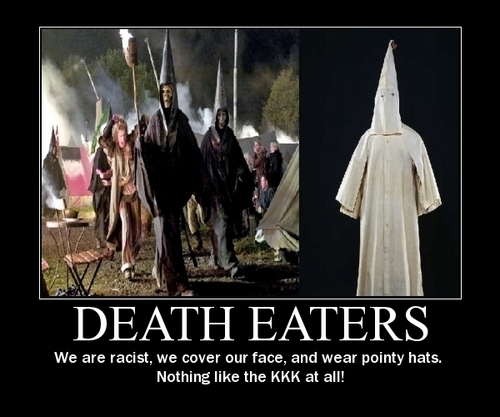 Death Eaters and the Ku Klux Klan. . Wallpaper and background images in the harry potter contra crepúsculo club tagged: series harry potter death eaters kkk ku klux klan funny.